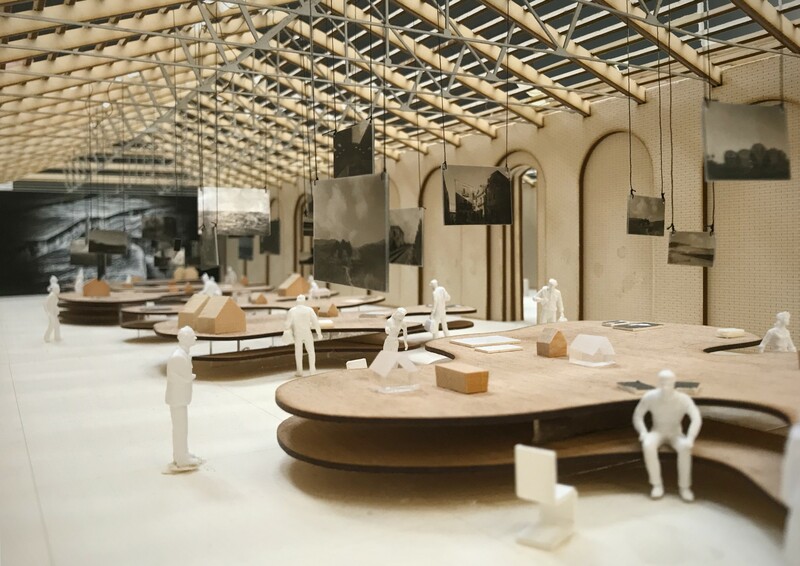 Among the national pavilions that will be open to visitors following the inauguration of the 16th International Architecture Show at the Biennale in Venice on May 26, one of the most anxiously awaited is the Italian pavilion curated by architect Mario Cucinella. 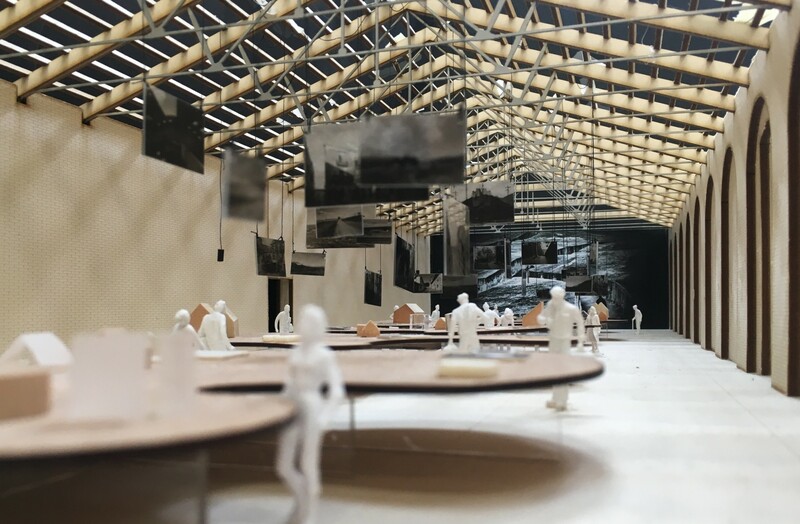 The inauguration of the 16th International Architecture Show, entitled "FREESPACE" and curated by architects Yvonne Farrell and Shelley McNamara for the Biennale in Venice, is coming up soon, and the national pavilions will be opening their doors on May 26. One of the most anxiously awaited pavilions is the Italian pavilion, not only because Italy hosts the show but above all because Arcipelago Italia, the project presented by architect Mario Cucinella, offers a concrete example of how architecture can be a tool for relaunching territories (in Italy) and creating new opportunities for the inhabitants’ future. Architect Mario Cucinella talked about the birth of Arcipelago Italia at SpazioFMGperl'Architettura in the first meeting in The Architects Series, a new event format presented by The Plan in the gallery and showroom of the Iris Ceramica e FMG Fabbrica Marmi e Graniti brands in the Iris Ceramica Group (a long extract of the meeting is online in the video of the opening). The project is the result of a nation-wide call that revealed the state of contemporary architecture in Italy. A close-up snapshot of the work performed by architects in the territories of inland Italy, outside the country’s big cities and away from its coastlines: areas representing 60% of the country’s land and a quarter of its population which, according to Mario Cucinella, tend to be excluded from the large-scale projects implemented in metropolitan areas. The country’s inland territories are particularly fragile, located along the country’s backbone, many of them in areas at risk of earthquakes and flooding, “but they represent the heritage of the Italy that has been formed out of a thousand communes, little city states, each of which has its own strength and identity” (Mario Cucinella). The call was an essential tool for photographing the current state of the profession of architect in Italy. 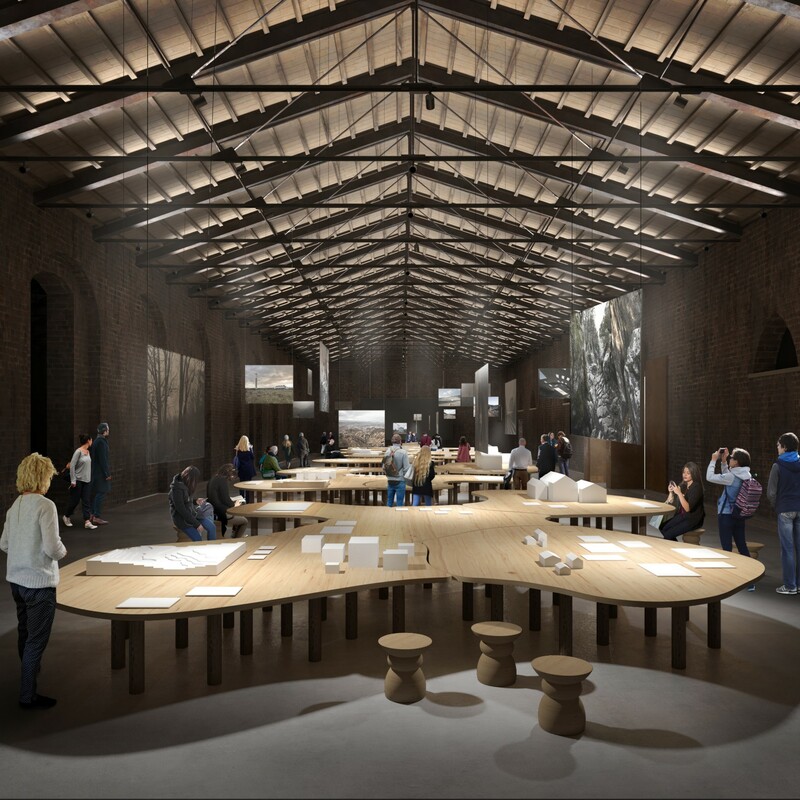 Italian architects responded to Mario Cucinella’s invitation with more than 500 projects. Examination of the candidates’ projects revealed the prevalence of private rather than public clients and of residential projects. About sixty small projects representing good practice in architecture and its relationship with place were selected from those submitted by candidates. The projects in the Italian Pavilion become stops on a voyage along the peninsula in discovery of its inland regions. The Italian pavilion is designed as a route, a docufim produced by Someone srl and Studio Nicama with Rai Cinema, introducing the voyage through Arcipelago Italia by talking about places in the interior of the country, their history and the potential for their future. Eight big books, like huge printed guidebooks, present itineraries for discovery of the contemporary architecture projects selected in the national call, along with the historic villages, routes and initiatives involved. As we travel the route we come to a presentation of the five strategic areas identified for relaunching the country’s inland territories, presented in the second hall. For these areas, five experimental projects have been developed by an interdisciplinary collective selected and coordinated by Mario Cucinella, composed of architects, urban planners, participatory design experts, photographers, representatives of local universities and other consultants. The Barbagia with the plain of Ottana, in the middle of the island of Sardinia; the Belice Valley with Gibellina, in the province of Trapani; Matera and the Basento Valley; Camerino with the area in central Italy affected by the 2016 earthquake, and, lastly, the Parco delle Foreste Casentinesi in the Appennines between Tuscany and Emilia; these are the five areas identified by Mario Cucinella to underline the themes the architect considers most urgent and the role of architecture as a concrete tool for territorial rebirth.